Both updos and braided hairstyles are extremely charming and versatile, and the combination of these two will be something simply irresistible. With braids being always very stylish, learning a few creative ideas of sporting this trend is certainly advised. What about braided updos? These hairstyles can look utterly sophisticated and innocent and will never go by unnoticed. Thus, if you have long locks and want to give them a stylish boost, at the same time flaunting your femininity and romantic side, a low braided updo is just the thing for you. At first sight a low braided updo may seem to be quite a difficult hairstyle to sport, however it doesn’t require much profound hair styling skills or techniques. 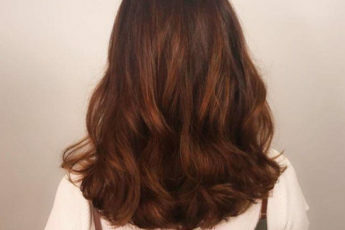 All you need is a little time for practicing, after which you can get this chic ‘do in no time. So if you are ready to learn how to style a low braided updo, grab your bobby pins and a hair elastic and go crazy! The great thing about the low braided updo hairstyle is that it can be created on all types of hair, though it looks best on sleek straight and soft hair. Even if you don’t have long locks, you can turn to temporary hair extensions, as they come in a variety of shades to match every hair color. 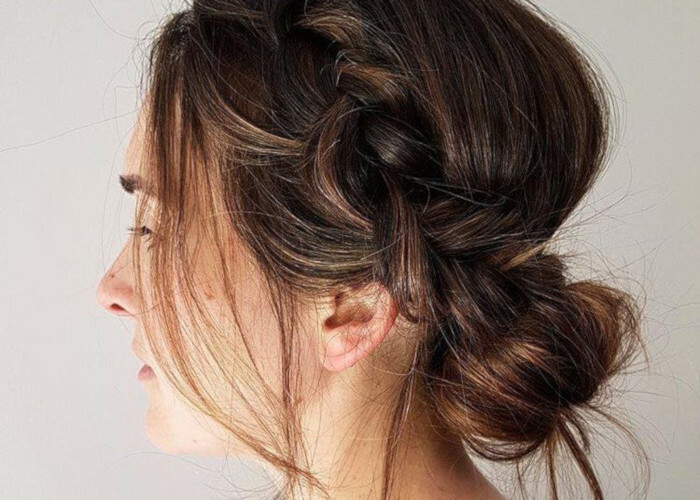 To start styling a low braided updo, part your hair on the side. If you already have bangs, keep your hair parted as usual and start right from there. Start braiding your hair from one side of the head. Take parts of your hair and incorporate them into the braid, as you go towards the back part of your head in a descending pattern. This technique is known as French braiding, and it requires a little bit of practice before you’ll be able to get a flawless braid without getting frustrated. Once you reach the other side of the head, keep braiding your hair to create a braided side swept ponytail. At the end, secure your pony with a hair elastic and pull the braids apart gently to get that romantic loose effect. The last step is to hide the loose part under the hair by tucking it in and securing with bobby pins. Your low braided updo is ready to rock! This easy-to-sport and lovely look is very versatile and looks perfect both for every day wear and for those special occasions. For a better idea, take a look at the great tutorial below and practice your braiding skills to be able to create amazing braided hairstyles in just a few minutes.